Father-in-law of Harry Carey Jr. The Buccaneer (1938) [Dying Pirate]: I haven't seen this movie myself, but the IMDB's description of Paul's role gives away his fate. The Crowd Roars (1938) [Joe, Warehouse Bodyguard on Phone]: Shot to death, along with Al Hill, in a shoot-out with Frank Morgan in the warehouse where they were holding Frank hostage. Guns, Girls and Gangsters (1958) [Lou Largo]: Stabbed to death by Lee Van Cleef. 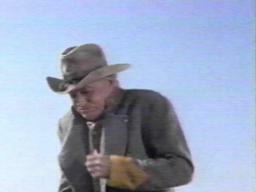 Welcome to Hard Times (Killer on a Horse) (1967) [Major Munn, CSA]: Dies of a heart attack while yelling at Aldo Ray, as Aldo rides off after burning down the town.